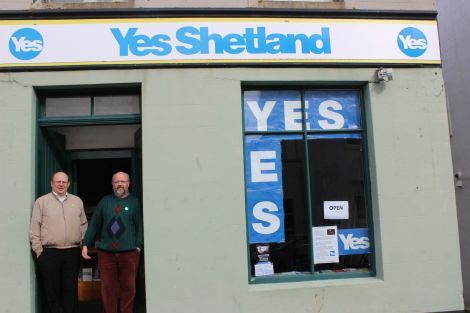 DURING her a 24 hour visit to Shetland last week, deputy first minister Nicola Sturgeon opened a Yes Shetland shop in Lerwick that pro-independence campaigners had raised almost £1,800 through crowd funding to rent and equip until the referendum is over. When it opened, two doors away, Cindy’s Hair Stylist responded by putting up two Union Jacks in the window. “Don’t quote me,” the manageress said, before declaring her staunch stand for a No vote on 18 September. 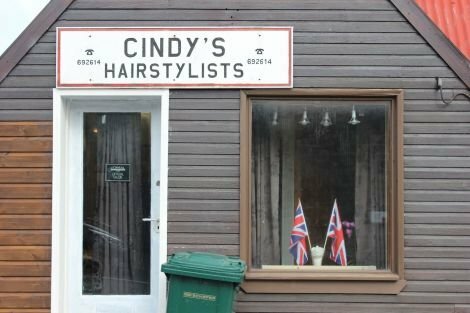 No one has ever doubted Shetland is a stronghold for the Union. It has been a Liberal or Liberal Democrat stronghold since 1950 and decisively rejected devolution in the 1979 referendum, with only 27 per cent being in favour. But in 1997 the comparable figure was 62.4 per cent and the winds of change seem to be blowing in the same direction over the past few months. Turnouts at public meetings, including local LibDem MSP Tavish Scott’s marathon Ferry to the Referendum tour of every island community, have barely reached double figures with both sides generally preaching to the converted. However a referendum debate with Scottish secretary Alistair Carmichael in March was attended by 150 people with the before and after vote showing a marked swing to Yes. And last week’s BBC Radio Shetland debate at Shetland Museum and Archives packed the 120 seat auditorium. An appearance immediately afterwards by Sturgeon swelled the numbers even more. 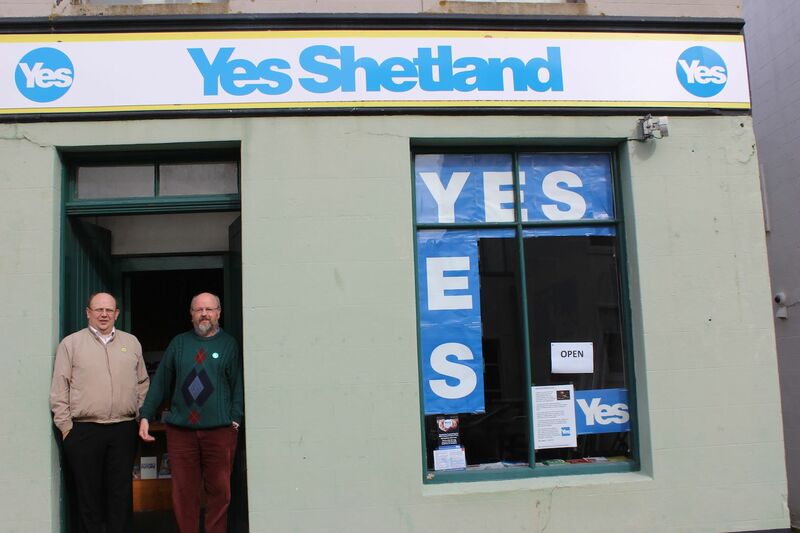 One thing everyone agrees is the referendum has revived interest in politics in Shetland. Local electoral registration officer Ian Leslie has been astonished by the last minute rush of applications for postal and proxy votes. “There is an interest in the democratic process I have never seen before, and that can only be a good thing,” he said. A confirmed No voter, Simpson said he had been taken aback by the number of people he knows that are voting the other way. “I think Shetland will vote No. A few years ago it it would have been 80:20, now it may be 70:30 or even 65:35,” he reckoned. Simpson would like to see Shetland follow the example of its Faroese neighbours and become a Crown dependency, like the Channel Isles of Isle of Man. But he says Shetlanders are too comfortable to follow that route. A petition from a nebulous group calling for a second referendum for the Scottish islands in the event of a Yes vote only attracted around 1,300 signatures worldwide, and was rejected by the Scottish government. However the Our Islands, Our Future campaign by the three island councils has been widely regarded as a success, cleverly playing the two governments in Westminster and Holyrood off against each other to gain post-referendum promises of greater powers. Simpson and others were disappointed the OIOF campaign did not play “the oil card” at a time when Shetland is awash with thousands of construction workers building the gas plant that will open up the substantial fields west of Shetland. But Lerwick councillor Jonathan Wills is full of praise for the three council leaders, particularly Shetland’s Gary Robinson. “They took advantage of an opportunity and have already got something out of it,” he said. Wills, a confirmed Yes man, says he too is noticing the swing towards independence, especially amongst fishermen who want Scotland to have its own seat at the negotiating table. Like elsewhere, the youngest voters have surprised many by leaning towards the status quo. A mini-referendum at Lerwick’s Anderson High School showed a 70:30 split a few weeks ago. Shetlanders characteristically play their cards close to their chest, but the local debate on social media has started to really take off. Young National Collective member Louise Thomason said she has noticed more and more people badge their profiles with Yes or No Thanx lately. 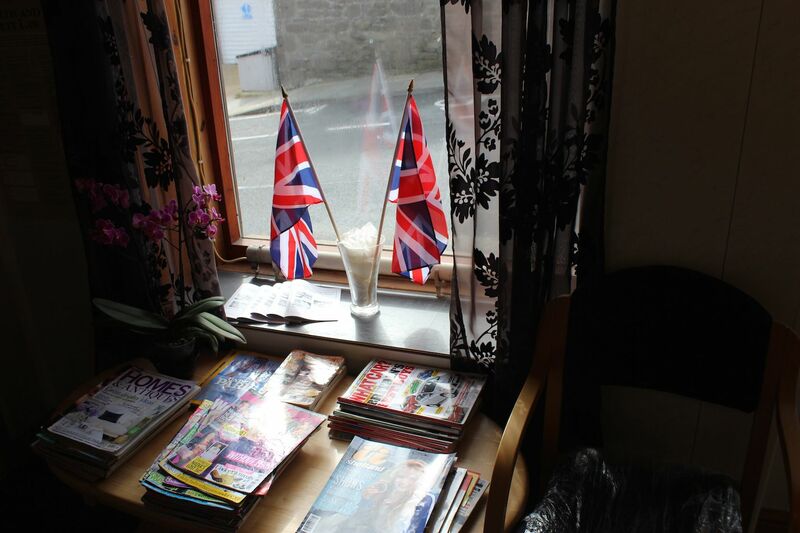 A Yestival event attracted 130 folk, but other attempts at engaging pro-independence events have fallen flat. It was only after Nicola Sturgeon’s visit that Thomason said she felt “a little more encouraged – you could feel the atmosphere lift”. In fact Sturgeon received a spontaneous standing ovation, unheard of in Shetland’s political history, according to Wills. Veteran SNP campaigner Danus Skene was more upbeat. “I have never thought we would be able to win Shetland, but I think we can make it a lot closer than a lot of people expect,” he said. Meanwhile marine engineering consultant and former SIC vice convener Jim Smith has already cast his No vote by post, though not with any great enthusiasm. His initial concerns about currency and pensions have been assuaged, but there remain “so many imponderables”. “I’m taking the safe way out,” he said. “We know what we have got, I am not entirely happy about it, but I don’t know what we are getting (with independence) and I presume I won’t be happy with that either.